PIA is your direct line to decision makers—in government and industry—representing your interests and facing down threats agencies aren’t equipped to handle alone. 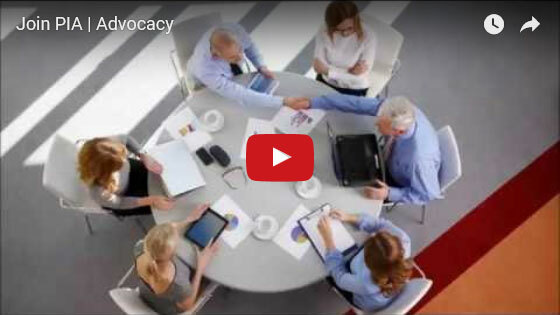 PIAdvocacy—Status reports on priority legislation, legislator contact information, grassroots alerts and our Government Affairs blog. Legislative/regulatory issues—Statements, letters and testimonies from PIA on proposed legislation and regulations. Legislative agenda—PIANY legislative game plan for the year. Legislative wrap-ups—Complete, end-of-the-year progress reports on PIANY's lobbying efforts. PIANY Political Action Committee—PIANYPAC supports lawmakers of all political parties who understand and act on the issues affecting insurance professionals. District office visits—Members join PIANY staff to visit their legislators, in their district offices, between November and January. Federal Legislative Summit—PIA members travel to Capitol Hill in Washington, D.C., to lobby lawmakers on key national issues facing the industry. Albany Lobby Day—PIANY representatives brought Main Street insurance agency concerns to the State Capitol in Albany. Company visits—A series of meetings between PIANY volunteer leaders, staff and top insurance company executives. Topics of general importance to the industry and specific relevance to the carrier are discussed. Mergers/acquisitions—The latest reports on carrier mergers and acquisitions. Surveys @ PIA—PIA surveys provide a valuable view of industry conditions from our members' perspectives. Company insolvencies—Which carriers are under regulatory supervision, liquidation or rehabilitation? Company news—The latest carrier developments.